This Christmas my wonderful husband gave me one of the best presents I’ve ever received. It’s a copy of the September 1957 issue of Movie Stars Parade magazine. 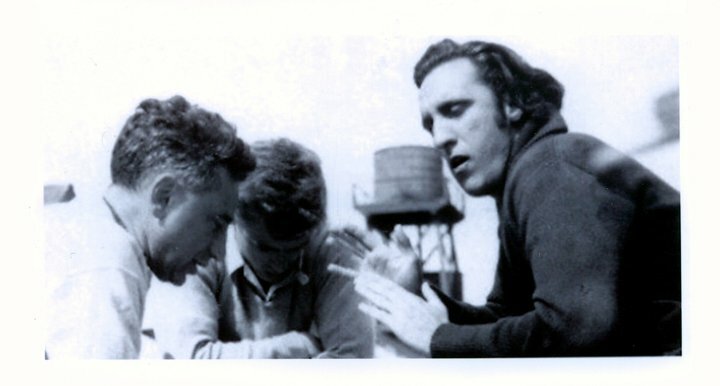 It contains an article entitled “The Highways of Heaven.” “As told to Bill Tusher,” it is Timothy’s account of his friendship with James Dean, but it’s really just as much about himself as it is about Dean. It is presented here in its entirety. This is vintage Timothy at his very best. Enjoy! Did Jimmy Dean find the road of his dreams? I pray so, for I was his friend. To me he opened his heart – about life, about love, about death. First crack out of the box, I’ve gotta tell you something about myself. 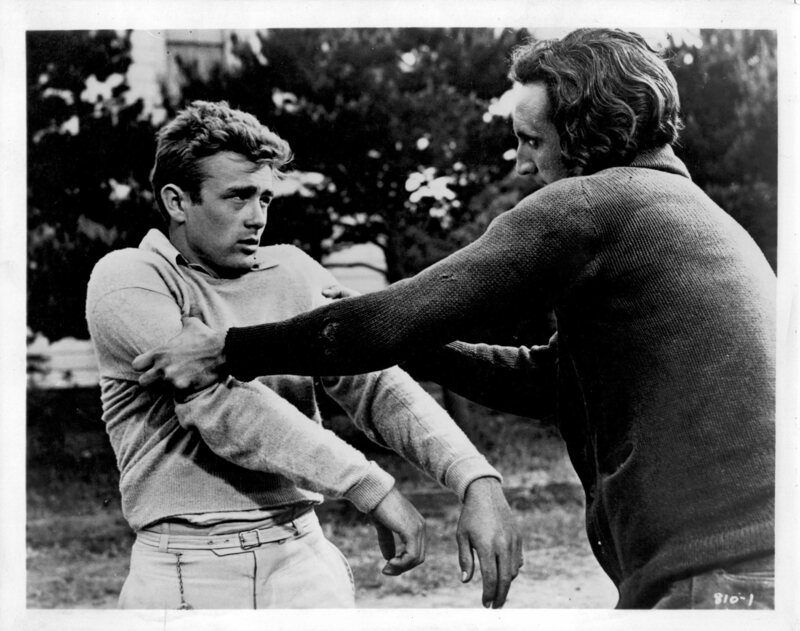 I’m the guy who had the assignment of beating Jimmy Dean to a pulp in East of Eden. But you couldn’t begin to dig why Jimmy Dean and I hit it off the way we did unless you were zeroed in on me. I’m a big sort of lummox with a head of black hair, a wild gleam in my eyes, an innate scorn for convention, an innate appreciation for women, an ambition to be a great actor that burns my insides, contempt for clothes and contempt for what other people think. In other words, if you mark me down for an extrovert, an odd-ball, you’re in the right neighborhood. The main difference between me and Jimmy – outside of the fact that I’m living and he’s not; he’ll be remembered and I probably won’t – is that he had a boyish, defensive air about him, and people wanted to mother him. No one ever took me for a pretty boy. When they get an eyeful of me, they want to run in the other direction. Jimmy they wanted to mother, and me they wanted to smother. The big thing Jimmy and I had in common was that neither of us ever could run with the pack. As one lost sheep to another, I guess Jimmy and I felt an instant affinity. This kind of thing kept happening to me all the time. I played a heavy again in a picture called Crime Wave, with Sterling Hayden and Phyllis Kirk, and in one scene I was holding Phyllis prisoner in a dingy waterfront room. There was low key lighting and the boom was down low. I affected a twitch like a narcotics addict, I turned on a low, sensual, half-crazy laugh, gritted my teeth and dug my hands into her shoulders – just like the creep I was portraying would have done in real life. But Phyllis wasn’t impressed with my realism. She found me too convincing. She broke and got hysterical. I had to go apologize to her, although I don’t know what I was apologizing for. I’d heard, of course, that Elia Kazan was a nut for realism, so I suppose he wasn’t intimidated by my reputation as a wild man. Anyhow, I got the part. 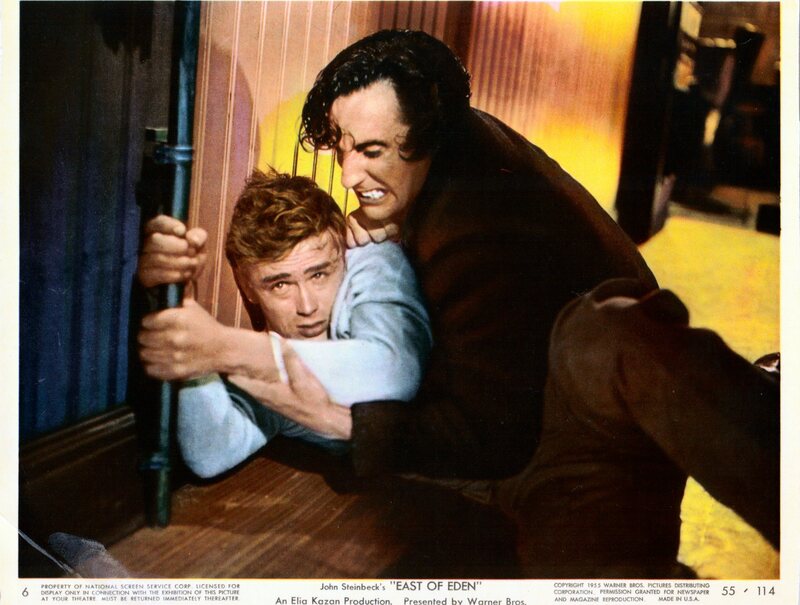 But I had no reason to expect a more cordial reception from Jimmy Dean that I’d received from Marlon Brando. 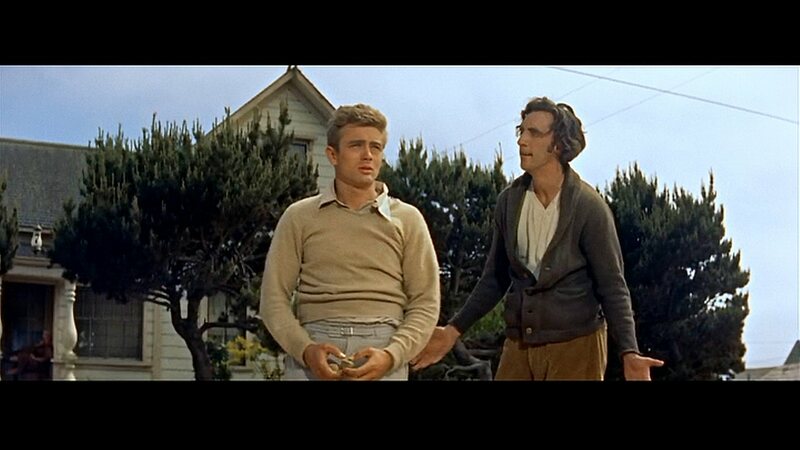 However, as I was soon to learn, Jimmy Dean wasn’t like the other actors. I didn’t scare Jimmy. I amused him. When a scene was over, Jimmy wasn’t like the others. He didn’t have that air of now that the scene is over, get lost. We’d go into his dressing room. He’d sit on his chair, and I’d sprawl on his cot, and we’d talk. One thing you found out right away about Jimmy – it didn’t matter how long you knew him. You knew him in one day or you didn’t know him at all. In spite of the fact that I came with such lousy references, I developed a friendship with Jimmy as strong as anyone who ever knew him. 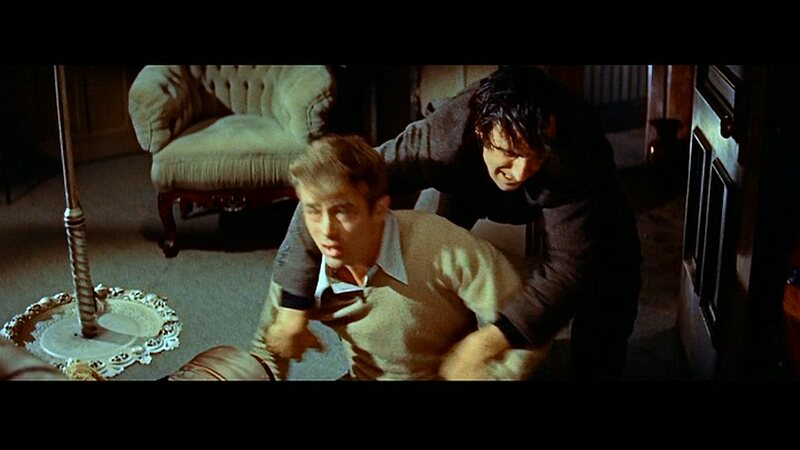 To give you an idea of the kind of easy, screwball relationship we had, anytime we’d see each other – whether it was in Elia Kazan’s office or the commissary – I’d flip spitballs at him, and he’d take a straw, wad it into spitballs, and flip them back at me. 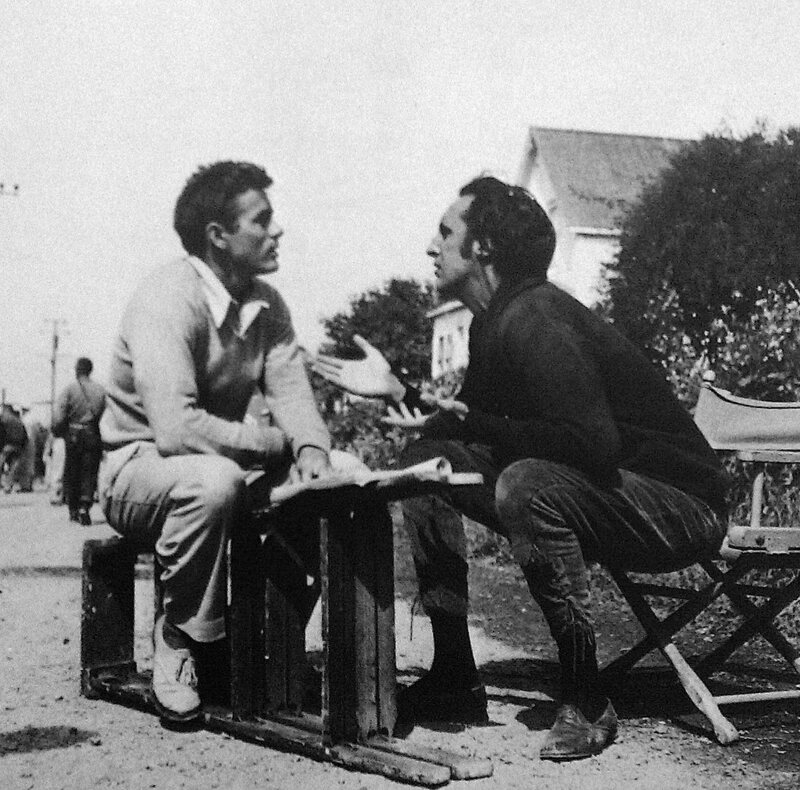 The first time I saw Jimmy Dean was when I boarded the chartered plane at Burbank Airport for Mendocino, where we were headed to do location scenes. I noticed this kid in blue jeans and a cowboy hat; he looked like a hick to me, a stunt man. He even sounded a little like a cowboy when he talked, but I had no idea of who he was. I gave it no more thought until we landed in Mendocino, a postage stamp of an airport. They didn’t have facilities for lowering the passengers from the DC7. They couldn’t even scare up a ladder that would reach the plane. After some delay, we were informed that the local fire department had been called to the rescue. In a few minutes, a big red hook and ladder truck came screaming onto the airstrip, sirens wide open. I kept looking at the kid in the cowboy hat who was sitting in front of me with Lennie Rosenman, who composed the music for East of Eden. His face lighted up with excitement and he tilted his wide brimmed hat to the back of his head, and looked out the window like a little kid getting a view from the top of a skyscraper. He laughed like a baby. They raised the ladder to let the passengers down, and the 350 pound woman who played a maid in the picture almost fell on Dean. He laughed again, as if he’d gotten a big charge out of all the excitement. The next time I saw him, he was driving this MG in Mendocino. I waved to him and he stopped. He laughed and tilted his head back, his eyes squinting in the sun. We shot the breeze for quite a while then. He told me how he’d studied at Actors Studio, and I mentioned that I’d had the same kind of training from Anthony Pirello, who used to be in the Group Theatre. He talked about the way he liked to drive fast in his car, how he was planning to drive it back to New York when the picture was over, and I mentioned that the first thing I ever owned was a 1938 Harley Davidson. I told him where I lived in L.A. (by choice in the real skid row area) and how I spent so much time at the 5-4 Ballroom, dancing, doing snake hips and really going with that tribal beat. The conversation gave us a good, friendly feeling, and we knew we dug each other. I told him how I’d been kicked off all those pictures, and how I’d made a lot of big shot actors nervous, and he just laughed. As he drove off, he looked around and shook his head. 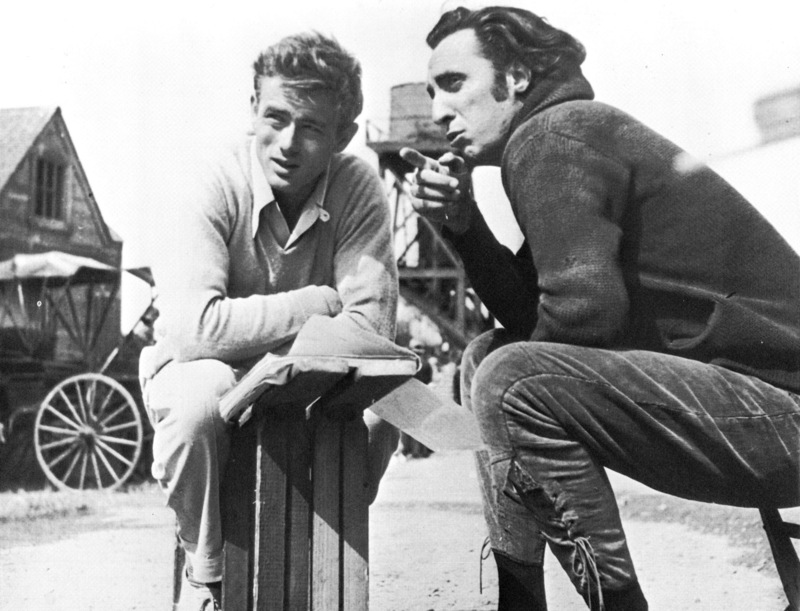 But that statement – “What people like, I don’t like” – was, I think, the key to Jimmy Dean, if anything was. We saw a great deal of each other while we were in Mendocino. We were really buddy-buddy, and we palled around almost all the time Jimmy wasn’t working. He really didn’t like what other people liked. Ordinary things and ordinary places bugged him. He liked to walk down dimly lit streets, to get the real feeling of the town. When we went out at night, he picked the worst bar in the whole town. There were a lot of good gin mills, but he picked the seediest place. At this one joint, there were a couple of dolls on the make, and I said, “Look, why don’t we con those two gals?” But Jimmy only laughed, did nothing. He was shy, if you want to know the truth. More than once I’d get the feeling that he wanted to, but he didn’t do anything. In that way, he was a moody guy. One minute he wanted to date the girls, the next he didn’t care about them. He was the same way about music. 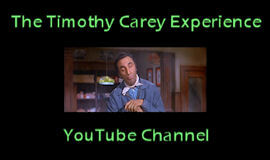 One minute he was gone on rhythm and blues, the next he was gassed by hillbilly music. Although I liked him thoroughly, I had the feeling that for a guy who’s supposed to be a big actor, he didn’t seem to have any bearings on what he wanted to do. He’d get steamed up on an idea, then it would go stale before he could carry it out. The only time he really got interested in a gal in Mendocino was the time I tried to pick up a waitress at the Greek restaurant where we ate. Jimmy turned the other way when I made the pitch. That was the signal for Jimmy to wheel around. He suddenly took an interest. “That’s really something,” he said with deep sympathy. He started to talk to her, to ask her questions about her husband’s work. And she knew he wasn’t on the make, just interested, and it seemed to make her feel a lot better. I guess we saw as many sides of Mendocino as there were. One day we went fishing in a canoe, but Jimmy didn’t want to fish. He wanted to do all the paddling. He wanted to put distance behind him and take in the sights. Along the way, we spotted three wild sheep on the top of a hill in the heart of the redwood country. They saw us and took off like a shot. Jimmy got a real charge out of that. He liked anything out of the ordinary. Maybe that’s why he liked me – because I was out of the ordinary. One night we’d go to the grubbiest dive in town. The next day, we’d drive along the countryside, and Jimmy would stop and talk to the farmers. Of course, it was one thing for Jimmy to put up with me in a little, lonely town off the beaten path. But would he really be different from the others when I started roughing him up in the picture? I still didn’t think he’d like it very much if I really let go. So when I grabbed hold of him, I was still holding back. I was plenty rough, you understand, but not as rough as I could be. So I decided maybe he really meant what he said. The next take, I came out like a bull, a roaring beast. “Whaddya doing, throwing them stones for?” I growled. I squeezed him with a bear hug until he almost suffocated, and in the process of the mauling I gave him, my long fingernails left marks all over him. We did the take over and over until Jimmy was satisfied that it was realistic enough. I ripped off six or seven of his sweaters. Jimmy was panting and bleeding. His arms were streaked with blood, and his chest was scratched and smeared with crimson. But Jimmy had no complaints. 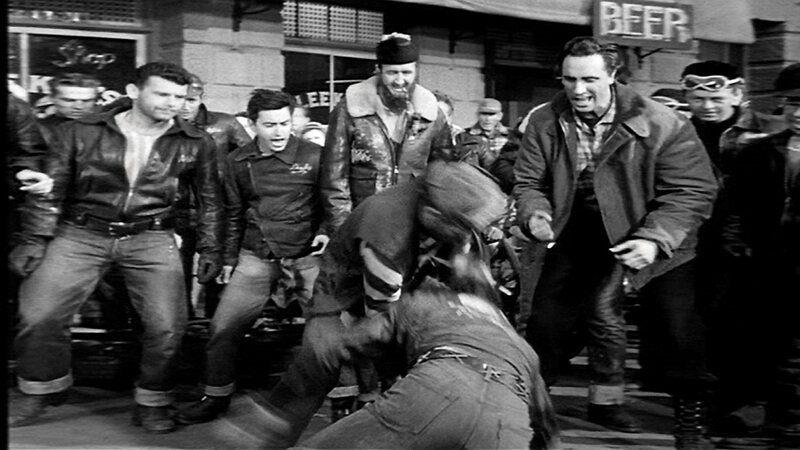 Elia Kazan, the master realist, began to get nervous, though. He yelled, “Cut,” and called me over. Again, I cut loose. I was flabbergasted. Jimmy seemed like he wanted to be tortured. Me, I was bewildered. I was afraid I’d get thrown out of the picture. Later, Solly Baiano, the Warner casting director, gave me a tip. There were 20 takes of me beating Jimmy before they called a halt. After it was over, Dean was friendlier than before, if anything. He was the first star who didn’t hold my enthusiasm against me. In our next fight sequence, I was supposed to pummel Jimmy as he ran through the hallway after leaving his mother’s office. I grabbed hold of his hair; we got into a struggle, I hit him and almost caved in the side of his face. He never said anything. I couldn’t understand the guy. Any other actor would have called the cops. But not Jimmy. That’s the way he wanted it – real. Then I lifted my fist to hit him again, missed, hit a pipe and broke my knuckles. Some blood began to trickle, but I wanted to continue with the scene. Only Jimmy wouldn’t let me. He didn’t care when his own blood was oozing, but at the sight of my blood he became compassionate. This guy was a human being. He really cared about my knuckles bleeding. I could drop dead on the set, and most people would say, “Lower the crumb right down.” Not Jimmy. He valued me. One of the most interesting – and prophetic things – I did with Jimmy was ride with him in his MG. I had no idea of what was in store for me the first time Jimmy asked me. “Crazy, man,” I took him up on his invitation. It turned out a lot crazier than I’d bargained for. So he went up, up and up. The higher he drove, the more of a charge he seemed to get out of it. I sat there with my legs hanging over the side of the car. We started chewing the fat, and I noticed that the more we talked the harder he stepped on the gas. Once he felt the speed, he couldn’t let up. There was a wild gleam in his eyes. I began to feel uncomfortable. “Whaddya want to go so fast for?” I demanded. “I get my charges out of it,” Jimmy shot back. Pretty soon I turned chicken, and didn’t care if Jimmy knew it. I was trying to be cool, but Jimmy wasn’t scared. He didn’t care what he did with his car. He didn’t care what chances he was taking with his life. On one ride, we came so close to ramming into a pole, I almost turned green from the scare. Then he fell silent a minute, and said a strange thing. We rode other times and had other narrow escapes. Jimmy always drove the same way, except once when I spotted a State Trooper and warned he’d get a ticket. He waited until the cop was gone, and then he was off like a shot. To me, these were like roller coaster rides. Not only the speed had a kind of fascination, but watching Jimmy’s characteristics when he’d pour it on. He told me once he would like to take a jeep and ride it on the sand. He really believed he was going into a strange jungle, that maybe something would happen to him, but he didn’t seem to care. I reminded him this was a great way to get dead in a hurry, but he only seemed pleased at my apprehension. He put his hands in his pockets, hunched his shoulders, and blinked at the sun. I also hope he got another wish – that he found those highways in heaven. This entry was posted in Film, Memorabilia and tagged bayou, bill tusher, crime wave, east of eden, elia kazan, james dean, kirk douglas, laslo benedek, lee marvin, marlon brando, memorabilia, movie stars parade magazine, paths of glory, phyllis kirk, solly baiano, sterling hayden, the killing, the wild one, timothy carey, william tusher. Bookmark the permalink. Your presentation of this is superior to how it appeared in the original magazine article. Thanks!